Giday of Life is Sweet asked me to join her tagging game. I really value my active blog followers so here, I'm answering her series of questions. Where do you want to go after doing this tagging game? South Korea! I have been fascinated over the Koreanovelas or soap operas flooding our local channels. A number of my friends have been posting pictures of their trip to that beautiful country. I have been secretly dreaming of fianlly stepping to the land of Sandara Park and Kim Tae Hee. Is there someone you wish to talk to but there is something that holding you to do that? who is this person and why? What book are you reading now/planning to read? This is my favorite question because I simply love books. 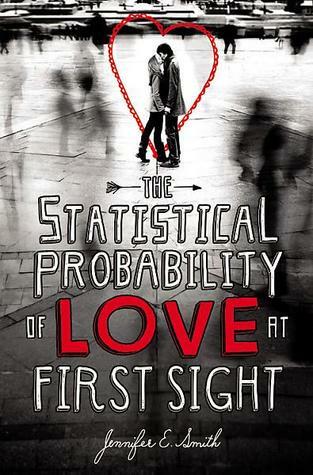 I'm reading The Statistical Probability of Love at First Sight by Jennifer Smith. As a person who works in the field of quantitative research, Statistics and the words "statistical probability" is one of the most abused and mentioned terms. I often use these words in writing reports and explaining behavior or patterns of a particular data set. My attention was caught with the title and since it appears to be a chick lit, I immediately said yes to this book. I should also mention that this is the first novel I'm reading in my iPad. I used to believe that I would never love the idea of Kindle and reading books in tablets. I still prefer feeling the pages and smell of a classic paperback. For a change and since I'm a bit broke these days LOL I'm venturing to the cheaper e-book. 4. What is your financial goal for this year? how will you be able to achieve that goal? To use my credit cards for emergency purchases only. I've battling the use of credit cards over the past months. If possible, I want to settle my last bill and finally get rid of them in my life. In terms of savings, I wanted to fatten my savings account and to pursue my plans of investing in mutual funds. 5. Give at least 5 things that you love to do everyday. Eat! Eat! and Eat! My friends can attest to this. Good food never fails to make me happy. Sleep! Are you know now getting irritated of my silly answers? I don't know if it's a blessing or a curse but I can easily sleep almost everywhere. As long as I have a comfortable seat where my back can be rested, then I'm in to sleeping. Check my blog - I logged in my account everyday to check if I have comments and new followers. Things like these make my day. Laugh trip with my friends - Do I need to explain? I think everyone enjoys laughing your heart out with the company of great friends. Write and teach - This is my everyday goal. If I'm able to complete a research or report and render a great lecture with my students, I ended up feeling so complete, accomplished, happy and fulfilled. 6. Do you have any vacation plan for this year? where would it be? After my Hong Kong, Macau and Boracay trip, going to another vacation within the year is still out of my list. Though some of my friends have been planning to finally fulfill our dream trip to Singapore. 7. 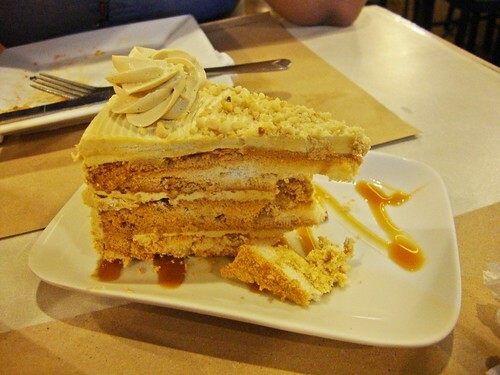 What is your comfort food? where can we find it? ﻿8. What is your beauty regimen? What is your most loved brand you use on your face? This is where I will surely fail. The most that I do is to wash my face whenever it feels oily, face powder, eye shadow, a pat of powder blush and a line of eye brow pencil. I use mostly products from Maybelline for my dull make up and Celeteque or Johnson's Baby Soap for my facial wash.
10. When was the last time you laugh? (as in halakhak hahaha) why? I think it was last Tuesday. I went to my cousin's house and we were laughing about something I can't even remember. 11. 5 reasons that make you smile everyday. So there Giday, mission accomplished! I hope I made a decent and worthy to be read post. I would also love to go to SK, and as I said many times in my blog, my trips (already booked.. Huhu) did not push through for some valid reasons. Anyway, I hope to go there real soon! Anyway, I havent downloaded any ebook for my ipad. San mo nakuha yang Statistical Probablity? Gusto ko din basahin. In case you're not aware, Statstics used to be part of my life too. I took up Bachelor's degree in Sociology so ayun, madaming Statistics. Hahahaha. Hi AC! epubbud.com :) glad to know that we went in the same boat. i believe dami ding researches sa sociology. I loved reading these things about you Diane! I agree with you - laughter is SUCH good medicine. :) And...yes, Facebook over Twitter. I don't quite understand...do we really have that much to say?!! Lol. Have a beautiful week my friend!! Really enjoyed your blog post(s) today. Our daughter is in Korea, teaching itsy bitsy children. She must love it, is back there for her second year. Couldn't find a job in US, so guess what? And for vacations she goes with friends to places like Hong Kong, Malaysia (KL), Singapore, Thailand, Tokyo--you have the picture? This is a great post, Diane. :) The book sounds interesting. I've been appreciating e-books myself these past few weeks. you must have a lot friends. you don't seem to be too complicated to handle.